Hunt For The Hungry: Hunters deliver extra game to commercial processors, who then package it for us to distribute. 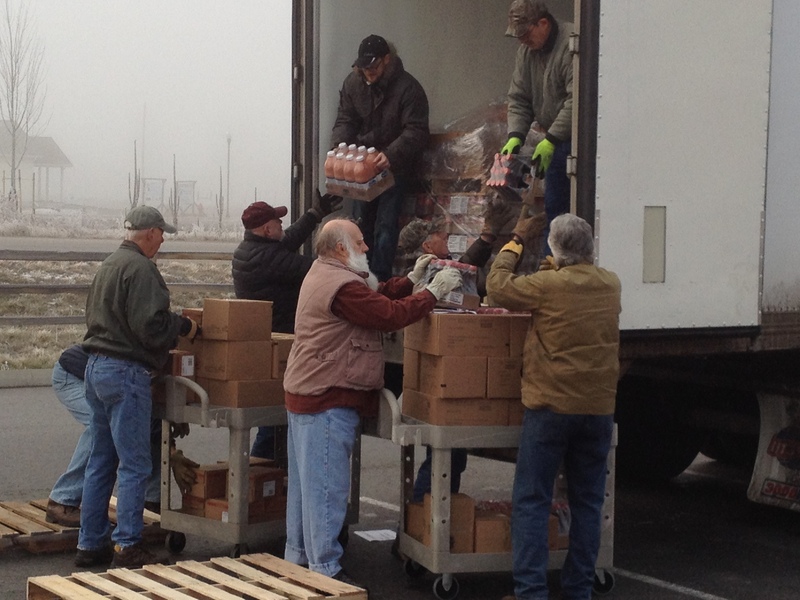 We are a member of the Montana Food Bank Network. This not-for-profit organization’s mission is to end hunger in Montana through food acquisition and distribution, education and advocacy. Unloading and storing up to 1100 pounds of food every 6 weeks is a major task undertaken by our wonderful volunteers.